VISIOPROBE is neither a videoscope nor a sewer camera. This weld inspection camera has been designed for industrial applications and features several patented innovations : compact Pan & Tilt camera heads (45mm), strong lighting, focus from contact to infinity, robustness, Stainless Steel outer shell version, mobility tools and a control unit without any ventilation. Power Generation. Increase productivity and keep maintenance cost of your production environment under control. With turbine locations now onshore and offshore there is a need for portable and robust inspection solutions. With Visioprobe, reach inaccessible parts, such as tip of wind turbine blades, and survey corrosion, wear sources and cracks. Nuclear. 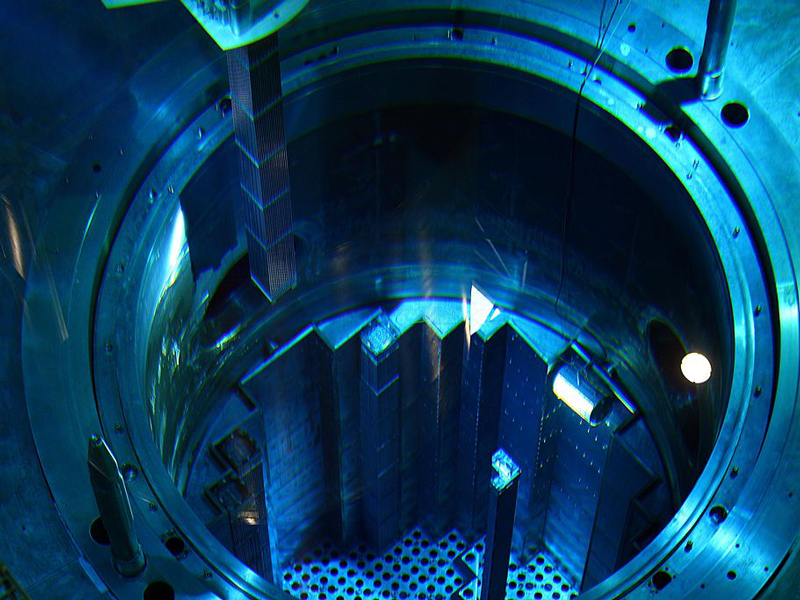 Visioprobe stainless steel cameras are easy to operate and can be used to access and control any nuclear component : steam generator, heat exchanger, condenser, reactor vessel, nuclear fuel pool, tanks, pipes (primary and secondary), welds, turbines, generators. It is compact, robust and fanless. We perform maintenance training so that your teams can operate on site. Oil&Gas. Whether onshore or offshore, reach any confined space with Visioprobe waterproof industrial inspection camera. Inspect pipelines, pressure vessels, tanks, caissons, infrastucture. 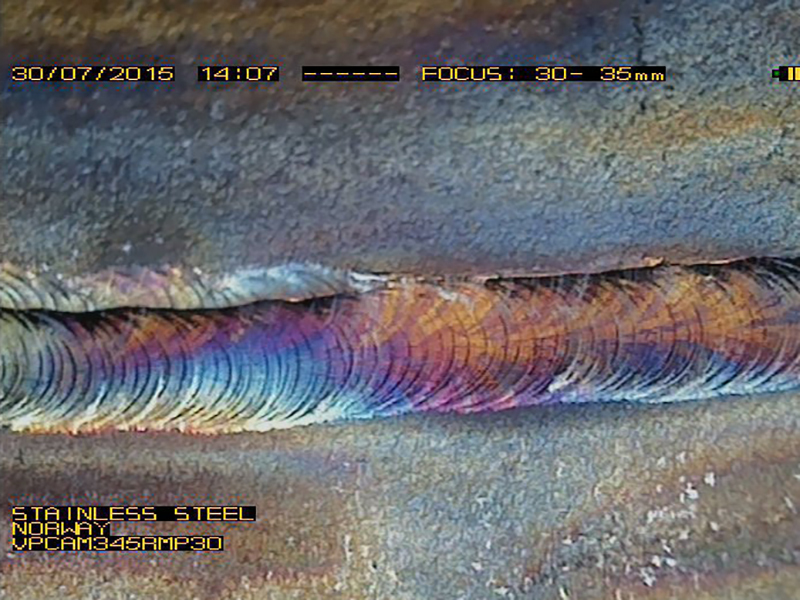 Use Visioprobe as a weld inspection camera to detect corrosion and avoid any costly shutdown. Chemical and Petrochemical. 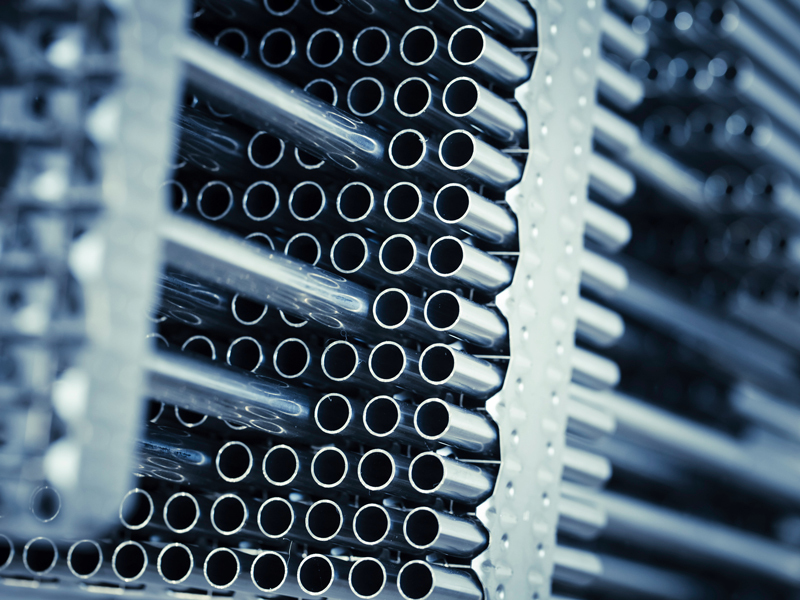 Vertical pipes, bends, hazardous areas, tanks and vessels, chemical and petrochemical are a highly demanding environment for visual inspection. With Visioprobe modular solution and range of inspection cameras, control welds, pipelines, perform Foreign Object Search and Retrieval (FOSAR), survey corrosion and manage your plant integrity. Pharmaceutical, Food, Process. You demand the highest level of hygiene. Your tanks and vessels have specific coatings and can be electro polished. Visioprobe small and compact stainless steel cameras will reach any part of your production environment. Our UV version can also be used for fluorescent inspection. Perform orbital weld inspection, control that your pipes are 100% clean. With Visioprobe tank inspection camera or vessel inspection camera, avoid scaffolding, Confined Space Entry (CSE) and reduce downtime while increasing safety. Pan Tilt Compact Camera solution VISIOPROBE is particularly fitted for harsh environments : Oil & Gas, Nuclear, Chemicals, Pharma, Food. It is ideal for general quality control and inspection of tanks, vessels, steam generators, turbines, pipes, welds, as well as foreign object detection and flaws characterization. Great design and easy to use (touch screen, simple menus) and maintain : VISIOPROBE will be a hit for your operators and help you boost inspections quality and productivity.